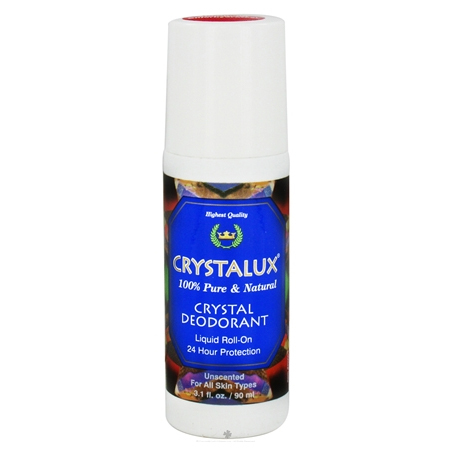 Crystalux Crystal Deodorant Liquid Roll-On Unscented is an amazing natural mineral salt roll-on provides 100% all natural 24 hour maximum odor protection. Crystalux deodorants stop odor causing bacteria before they multiply on the skin’s surface, unlike other natural and synthetic deodorants which temporarily mask body odor or clog pores by stopping the natural process of sweating. 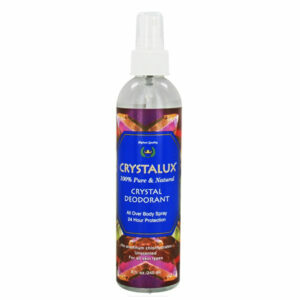 Crystalux simply alters the skin’s pH level and eliminates odor. Deodorant crystals are made from naturally occurring bauxite ore. Alum is a natural compound in nature. It is present in the water we drink, in the foods we eat, and the air we breathe. Alum is the third most abundant element on earth, after oxygen and silicon. Their deodorant crystals contain large alum molecules that can not be absorbed into the body or blood stream. 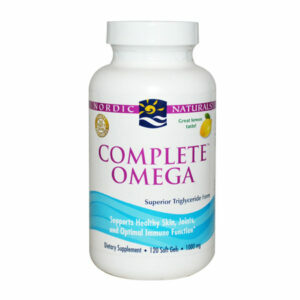 The weight of an alum molecule does not allow it to penetrate deep into the skin and body. The chemical formula for alum is ALSO4. The alum that is in the crystals is in a salt form and is not in a metallic form. Consumers are trying to get away from using products that have forms of aluminum that could clog pores and be absorbed into the body. The crystals do not clog pores or stop the natural process of perspiration in attempting to eliminate odor. The crystals take a natural approach by stopping the bacteria on the skin from multiplying. The crystals impede the growth of bacteria by raising the pH level of the skin and forming a high alkaline environment that destroys bacteria in its tracks. Deodorant crystals are natural products of the earth. Ore from the ground is mined and refined into pure alum crystals. Once they are crystallized, they are cleaned, formed (hand cut or molded) and are then packaged for commercial use. All the crystals are guaranteed to be free of synthetic oils (these types of oils will stain clothing), alcohol (which can burn and irritate the skin), emulsifiers and solvents (which can clog pores), synthetic perfumes (which can cause severe allergic reactions), or chemical additives (such as propellants), which can harm the earth and the ozone layer. The crystal is very easy to use. The solids are simply wet and applied to the skin. It can be rubbed on any part of the body that produces odor. Like soap, a little bit of the salt surface is removed with each use. The sprays and the roll-ons are also applied directly to the areas that need attention. It’s that simple. The natural deodorant crystals are the safest and most effective deodorants on the planet. 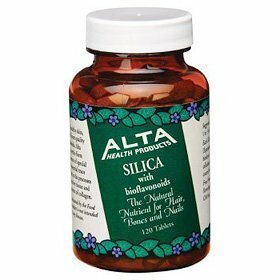 The true test of time has made these products very popular for over 15 years in the health and nutrition industry here in North America. For centuries, they have been used by people in Asia for personal hygiene and water purification. After bathing apply to clean skin only. This product does not contain any chemical thickening agents or additives, therefore it’s less viscous than other roll-ons. 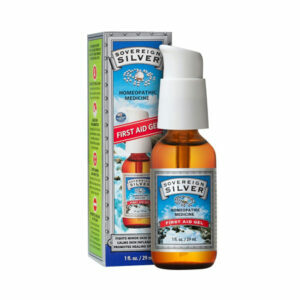 Simply invert bottle, then bring upright to apply. Do not squeeze bottle. Close cap firmly after use.